Several people have forwarded us very slanderous and false e-mails written to them to intimidate and threaten them into not disagreeing with the CDH Awareness Trademark. One of the false statements that Elizabeth Doyle-Propst likes to state is that she is “unable to stop the court proceedings” to cancel the “Congenital Diaphragmatic Hernia Awareness” Trademark. It is now being stated that “CHERUBS started it” and “CHERUBS is keeping this trademark on record” because Elizabeth is “stuck”. As humorous as this is, it’s a blatant attempt to avoid taking any responsibility for filing for the trademark, not removing and wasting Breath of Hope, Inc donations to fight to keep it. Fighting to keep something that only 1 person wants. Because Elizabeth does not have legal counsel and is not known for her researching expertise, we thought that maybe she might have overlooked the volumes of text on the TTAB site that say that all Breath of Hope, Inc has to do is write a letter asking to drop the trademark and submit to the USPTO office. That’s it. She’s definitely great at writing letters, especially ones filled with (inaccurate) legalese so this should take about 5 minutes to do. 5 minutes to listen to the families and researchers who have requested the end to the Congenital Diaphragmatic Hernia Awareness Trademark. 5 minutes to listen to 1000’s of people. 5 minutes to listen to her own members. If Elizabeth had not responded to the Petition to Cancel, then the trademark would’ve been removed and all this would’ve been resolved. She CHOSE to respond and fight for her trademark and continue this drama and continue to hurt the CDH community. She is CHOSING to continue this now instead of dropping it. 37 CFR § 2.68 Express abandonment (withdrawal) of application. An application may be expressly abandoned by filing in the Patent and Trademark Office a written statement of abandonment or withdrawal of the application signed by the applicant, or the attorney or other person representing the applicant. Except as provided in §2.135, the fact that an application has been expressly abandoned shall not, in any proceeding in the Patent and Trademark Office, affect any rights that the applicant may have in the mark which is the subject of the abandoned application. 37 CFR § 2.135 Abandonment of application or mark. After the commencement of an opposition, concurrent use, or interference proceeding, if the applicant files a written abandonment of the application or of the mark without the written consent of every adverse party to the proceeding, judgment shall be entered against the applicant. The written consent of an adverse party may be signed by the adverse party or by the adverse party’s attorney or other authorized representative. 37 CFR § 7.30 Effect of cancellation or expiration of international registration. When the International Bureau notifies the Office of the cancellation or expiration of an international registration, in whole or in part, the Office shall cancel, in whole or in part, the corresponding pending or registered extension of protection to the United States. The date of cancellation of an extension of protection or relevant part shall be the date of cancellation or expiration of the corresponding international registration or relevant part. 7 37 CFR § 2.68. 8 37 CFR § 2.135. See Fleming Companies Inc. v. Thriftway Inc., 21 USPQ2d 1451, 1456 (TTAB 1991), aff’d, 26 USPQ2d 1551 (S.D.Ohio 1992) (where excepted user abandoned application in concurrent use proceeding, judgment precluded applicant from obtaining any registration at all, although it may remain in proceeding as defaulting user); Goodway Corp. v. International Marketing Group Inc., 15 USPQ2d 1749, 1749 (TTAB 1990); Grinnell Corp. v. Grinnell Concrete Pavingstones Inc., 14 USPQ2d 2065, 2067 (TTAB 1990) (consent required for abandonment without prejudice regardless of motivation for abandonment, i.e.. a concession by applicant that it is not owner of mark and that judgment would be unfair to real owner, a nonparty to the case); and In re First National Bank of Boston, 199 USPQ 296, 301 (TTAB 1978) (where abandonment of application and notice of opposition were filed on same day, consent was not required because there was no application to oppose). 9 See 37 CFR § 2.135. 10 Miller Brewing Co. v. Coy International Corp., 230 USPQ 675, 678 (TTAB 1986) (judgment in first opposition, as result of abandonment of application without consent, operates as claim preclusion in subsequent opposition so as to bar applicant’s subsequent application for an insignificantly modified mark); United States Olympic Committee v. Bata Shoe Co., 225 USPQ 340, 342 (TTAB 1984) (abandonment of application without consent in previous opposition does not operate as collateral estoppel or claim preclusion in subsequent cancellation proceeding between same parties since the two cases involve two distinct marks, and does not operate as issue preclusion because no issues were actually litigated in the prior opposition); Bass Anglers Sportsman Society of America, Inc. v. Bass Pro Lures, Inc., 200 USPQ 819, 822 (TTAB 1978) (judgment against applicant in prior opposition due to abandonment of application without consent operated as collateral estoppel in subsequent opposition involving same marks and same parties in opposite positions); and In re Communications Technology Corp., 182 USPQ 695, 696 (TTAB 1974) (judgment against applicant in prior opposition between applicant and owner of cited registration is not conclusive of likelihood of confusion and does not operate as a estoppel in subsequent application for a distinctly different mark). Cf. Aromatique Inc. v. Lang, 25 USPQ2d 1359, 1361 (TTAB 1992) (applicant, by abandoning application with prejudice in prior opposition is estopped in subsequent opposition from attempting to register virtually identical mark for identical goods), and Johnson & Johnson v. Bio-Medical Sciences, Inc., 179 USPQ 765 (TTAB 1973) (dismissal of previous counterclaims with prejudice operated as estoppel barring same counterclaims in subsequent proceeding). And for the information of the members of Breath of Hope, Inc., here is the USPTO’s listing of how much money your “charity” is spending to “own” Congenital Diaphragmatic Hernia Awareness. Putting one person’s pride before the wellbeing of 1000’s is not what a leader is supposed to do. 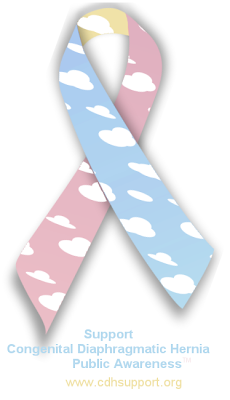 ACDHO (The Alliance of Congenital Diaphragmatic Hernia Organizations) was created as a forum for CDH organizations / groups / non-profits / sites to work together to help families affected by Congenital Diaphragmatic Hernia, to promote awareness and to increase research. The entire CDH community working together for positive goals in a positive environment. ACDHO is not about Elizabeth or Breath or Hope. The CDH community has many other services and goals and does not revolve around one person or group or the dramas of groups who cannot get along with other organizations. ACDHO does not have a leader. We are all equal. ACDHO members should not be intimidated or attacked simply for trying to work with the CDH community. 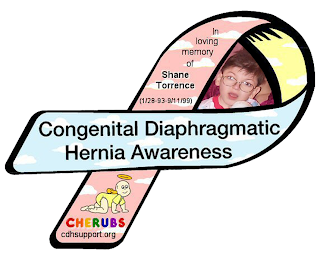 If a member of ACDHO wishes to participate in standing against the Congenital Diaphragmatic Hernia Awareness trademark, then contacting them to intimidate them or harass them when there is a trial going on is a federal offense. Breath of Hope, Inc and Elizabeth Doyle-Propst have been e-mailing and posting (rather immaturely) that “CHERUBS started it” when we filed the Petition to Cancel the trademark that was filed by Breath of Hope, Inc. Repeat – FILED BY BREATH OF HOPE, INC.
We are standing up for CDH Awareness and CDH families. Continuing to harass, threaten and intimidate CDH parents is unethical, cruel and illegal. Contacting potential witnesses to intimidate them is a federal offense. At any time, Breath of Hope, Inc can stop the trademark and stop this nonsense. Any statements that they cannot stop this trademark are false. We highly recommend that Breath of Hope, Inc also find a lawyer.